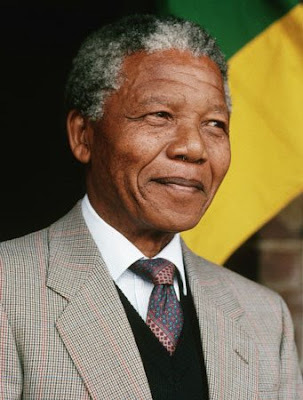 Two charities, The Nelson Mandela Foundation and 46664, are calling for the establishment of a global "Mandela Day" to mark the former South African President's birthday on 18th July. The charities are hosting events in New York this year but want the marking of the date to be an annual, global event. The aims of the charities are for people in all corners of the planet to give 67 minutes of their time to good causes every 18th July. The 67 minutes reflecting the 67 years Mandela spent as an activist. 46664 and The Nelson Mandela Foundation hope that marking this day each year will be a "call to action for people to recognise their individual power to make an imprint and help change the world around them for the better". In a statement released by Mandela he says "We would be honoured if such a day can serve to bring together people around the world to fight poverty and promote peace and reconciliation." The charity 46664 (the number Mandela wore during his years in prison) was formed to increase HIV/Aids awareness. Read the BBC news story here. Read more about "Mandela Day" on the 46664 website.